Stop showing us propaganda. The only reson some Hungarians look Nordic is because of the German blood there which got influxed at the time when Hungary was part of Austria. Last edited by GreenHeart; Saturday, March 15th, 2003 at 03:37 PM. The racial situation of Hungary is very complex. But most Nordics are from the volksdeutschen that settled in the west and south. Some Hungarians have German/Austrian surnames. I would say that Hungary is a Pontic-East-Baltic-Gorid (perhaps through the Slovakian Hungarians when it was part of greater Hungary) land and with Kumid strains, especially in the eastern part. The proto-Magyar horsemen in the east Russian steppe were East-Baltic according to Bertil Lundman. They took mtebid (meaning mountain land in Georgian, and it's a Dinaric variety) blood in the nobility (Bartusch). They later mixed with Huns and Turkic folks and with a considerable Mongoloid (of various kinds) admixture. They mixed with East-Baltic and to a lesser degree Nordic (high-skulled East-Baltic variety?) Slavic tribes when they reacherd present day Hungary in the 9th century AD. The Magyars were by then mostly Pontic-Karpathid-Dinaric and with Nordic strains. Then they had later Mongoloid mixes (from Kumans etc.) in the 12-13th century AD. Germans assimilated and Balkan Slavs that fled the Turks, Slovakian agricultural labourerers and so forth. The blood allele frequency in the Hungarian Puszta tell the tale of strong eastern origin. 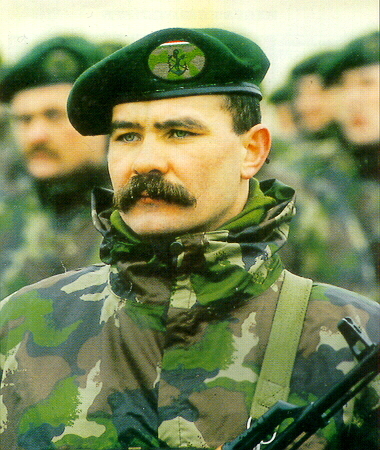 The more uniform type in Hungary is the semi-Mongoloid-Pontic, but with East-Baltic and Dinaric strains (broad-oval face, dark hair, often grey eyes and somewhat bent nose, although my own observation when being in Hungary for a longer period the snubbed noses were far more common, it's hard to say though, as they are heavily mongrelised people). There are many ash-blond, East-Baltic types among the Siebenbürgen Szeklers (a Magyar tribe). One can tell with the Hungarian Germans even today often by their type from where in Germany they once came from, even though it was hundreds of years ago, the "Schwabians" in S. Hungary (from S. Würtemberg) are strongly Alpine, the "Sachsens" (from Hessen and lower Franken?) in Transylvania (which is in northern Romania now) are very Nordic. Stop showing us propaganda. The only reson some Hungarians look Nordic or like Vikings is because of the German blood there which got influxed at the time when Hungary was part of Austria. I am nordish thank you ... and it was a joke. Get a grip moron. The standards for "Nordish" seem to be pretty loose, at least judging from the pics on the SNPA website. All "Nordish" means is "from Northern Europe". It's a geographical term, not a racial term. I agree the term "nordish" is quite loose and often confusing/misleading. That's why it ends in "ish"....it could mean almost there, but not quite. Just like 3-ish, that could be up to half an hour before or after 3 itself! The "nordish" label makes less and less sense to me by the day. If short, brown-eyed, brachycephals are "nordish", then to me it seems that - from an anthropological point of view - the term has absolutely no real merit. It's just something insecure NW Europeans need to feel "pure". "Oh, my daddy is a Brunn and my mommy is Nordic, so that makes me 'central nordish'....arent I special?" It's kind of funny how so many people here make fun of Alpines, while exalting the loud, crude, and ape-like Brunns as a "superior" race merely because they have had extended contact with Nordics and other advanced people. Left to their own devices, the Brunns have done just as little as the Alpines...probably much less, actually. But because many would-be Nordics are bastardized with Brunn admixture, McCulloch and the SNPA must consider Brunns to be "Nordish", and thus the bastards become "pure". It's really just a big joke, and the more I learn about it, the less seriously I take the whole thing. Who Do You Feel Closest To In Life? What Is Your Closest Call With Death?